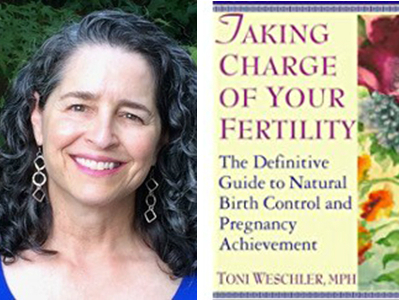 Before there were apps and programs designed to tell you when you were fertile, there was Toni Weschler’s book. It has stood the test of time in teaching people about the female body and menstrual cycle, including how to achieve or avoid pregnancy. Millions of women have used and adored this book with its easy-to-follow instructions. It can also help you figure out why you’re having difficulties getting pregnant. 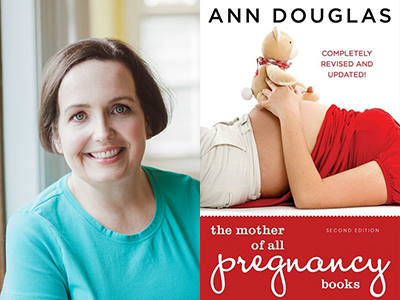 If you need an all-around great pregnancy book, this classic by Ann Douglas is the perfect choice. Douglas marries the technical information about pregnancy with her positive energy. She tells it like it is and helps you navigate all of your choices to make a decision that works for you and your family, recognizing that every family needs to find their own way. In this book, you’ll find answers to those questions you meant to ask your obstetrician but either forgot or were too embarrassed to bring up. This book is a great guide for your entire pregnancy. The information is laid out simply, and the explanations are easy to read and follow. One thing this book’s authors discuss in detail that is often overlooked is how to make decisions about your care when there seem to be endless options. It also explicitly talks about what to do when pregnancy is complicated. This is also one of the few pregnancy books that adequately covers pregnancy, birth, and the newborn period, giving you all the information you need in one place. If you prefer more of a story-based book, this is the one for you. The entire first section is made up of birth stories. Once you have the birth stories under your belt, author Ina May, a certified professional midwife, talks about her philosophy of pregnancy and birth and how you can use it to make your birth easier and more satisfying, no matter where you deliver. This book also addresses issues like vaginal birth after cesarean (VBAC) and out-of-hospital birth. “Giving Birth With Confidence” is written by two women with unique and diverse involvement with childbirth, personally and professionally, which makes for an empowering read. Forget the scary stories and typical nonsense you often hear about childbirth; this book is one that is positive but realistic. It’s a great guide to planning your labor, inspiring confidence in you, your baby, your body, and the entire process. The authors also emphasize building a good team and great communication. 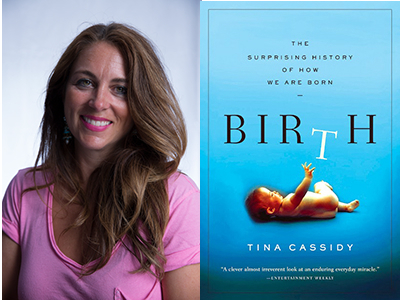 If you’re not feeling up to reading about how far along you are or what fruit your baby matches up with this week, this book by Tina Cassidy is a treat. It traces the history of birth and family experience and discusses biology, politics, home birth, the move to the hospital, and everything in between. It’s a helpful explainer on why the system is what it is today. There are countless pregnancy books and even a fair number of books on multiple pregnancy on the market. This book stands out by relying on thorough research while keeping an open mind when discussing how to stay healthy when you’re pregnant with multiples. The authors’ practical tips are easy to implement and can have a big impact on your pregnancy — without being too scary. It’s riddled with quotes from real parents, too. From diet advice to the delivery, this book covers it all. This book by Cynthia Gabriel covers everything you need to know about planning an unmedicated birth in a hospital setting, which is very different from an out-of-hospital birth setting. While you may see the title and think it’s not for you because you’re planning to use an epidural, this book is actually a helpful guide for everyone when it comes to knowing what will happen once you’re at the hospital and how to negotiate to achieve the birth you want. This book is an excellent resource for dads, partners, doulas, and more. It was written by physical therapist and doula Penny Simkin, who uses both research and her years of work in labor and delivery to help you figure out what tips and tricks actually work in the labor room. The book is laid out in helpful sections to make it easy to determine what you need to do when. This one is a good book to pack in your labor bag. “The Doula Book” focuses on how a trained person can help you have a shorter and easier labor. While the authors do go into details about studies on doulas, it also has sections on choosing a place of birth, how a birth environment alters your experience, and using a friend as a doula. There is also a chapter that talks about fathers at birth, what their role is, what they want it to be, and how it is all entwined. This is a great book for pregnant people and professionals alike. Written by Dana Trentini and Mary Shomon, this book is excellent resource for women with thyroid issues. Dana and Mary are both mothers who had thyroid disease in pregnancy and struggled with questions about how it would alter their pregnancy and birth experiences. Despite the prevalence of thyroid, many women don’t realize the damage untreated or undertreated thyroid issues can cause during pregnancy. The authors also explore issues around fertility, pregnancy loss, and breastfeeding in this full-spectrum book on getting great thyroid care in pregnancy.